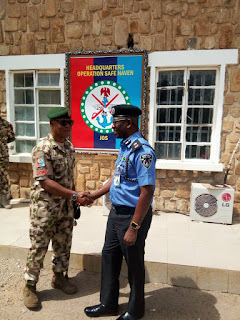 The newly deployed Plateau State Commissioner of Police, Mr. Isaac Akinmoyede will today lead a show of force ahead of Saturday's Federal elections. The exercise is expected to assure the general public of the Police's presence as well as warn troublemakers who might be be planning evil during the polls. The exercise comes days after the CP precided over a consultative committee on election security shortly after taking over from his predecessor on Monday. Mr. Akinmoyede has equally had interactions with accredited election observers as well as the Commander, Operations Safe Haven, Maj. Gen. Augustine Agundi.